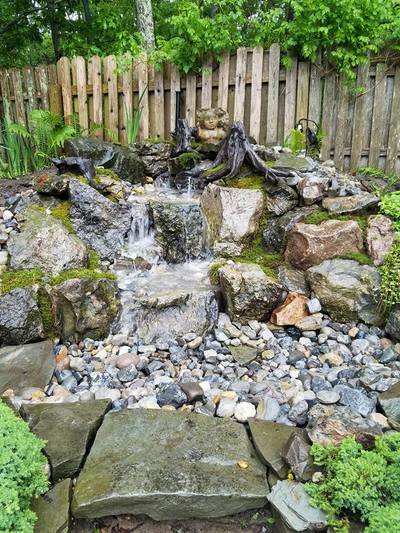 One of of the most popular water feature options for sale at local pond stores across the country is the Disappearing Waterfall. 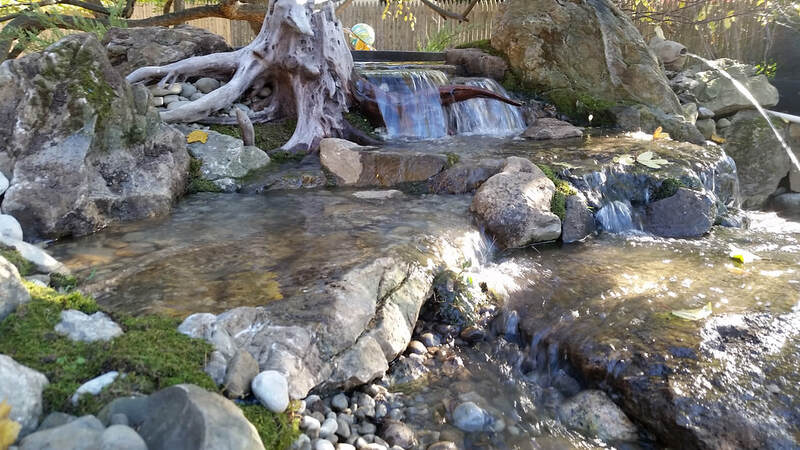 This is an ideal option for consumers that want the sights and sounds of water without having a traditional pond or water garden. This style of water feature is an ideal option for consumers with space constraints, small children or municipality restrictions. 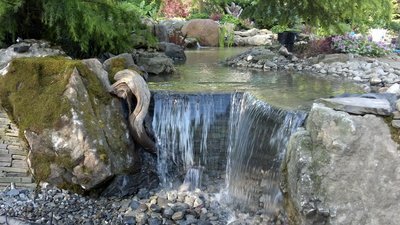 Disappearing Waterfalls are simply a re-circulating waterfall and/or stream without the actual pond itself. You can enjoy the sight and sound of running water without the maintenance of a pond. 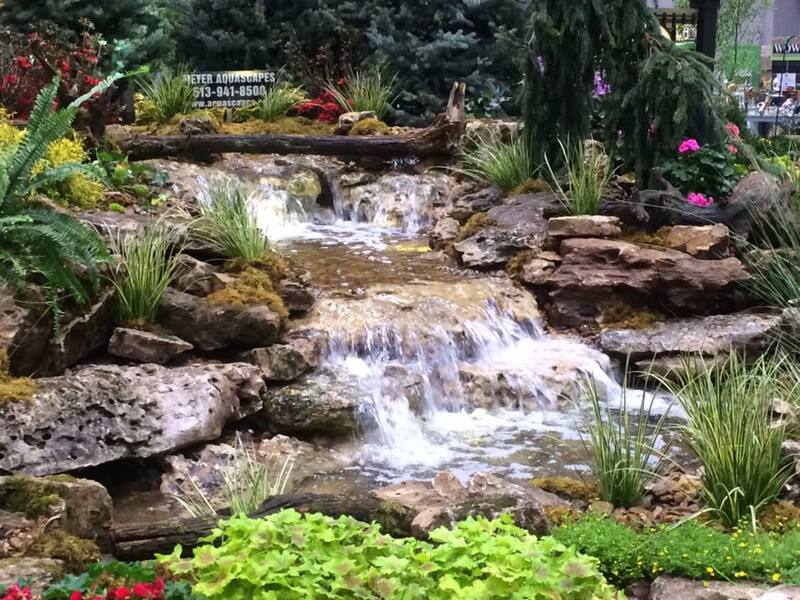 The waterfall is undoubtedly the most beautiful and favored feature in a water garden. 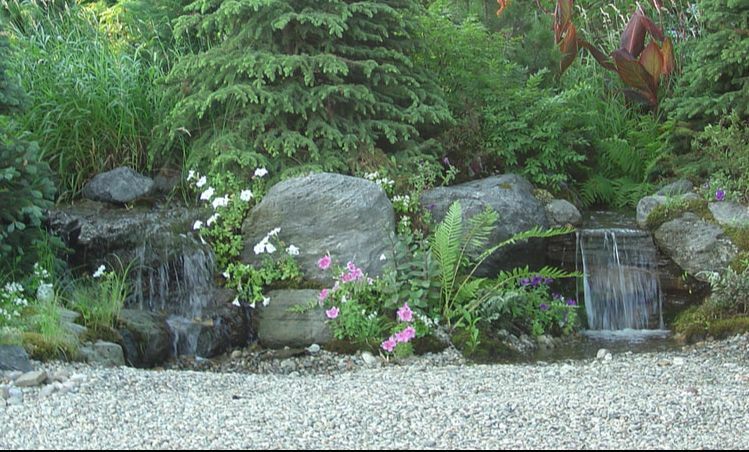 If space is lacking in your yard or you have safety concerns with a pond ask your contractor for a Disappearing Waterfall! The name basically explains it all. 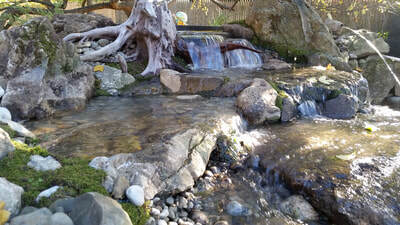 It's a waterfall and stream, without the pond. So why would you want a waterfall without a pond? 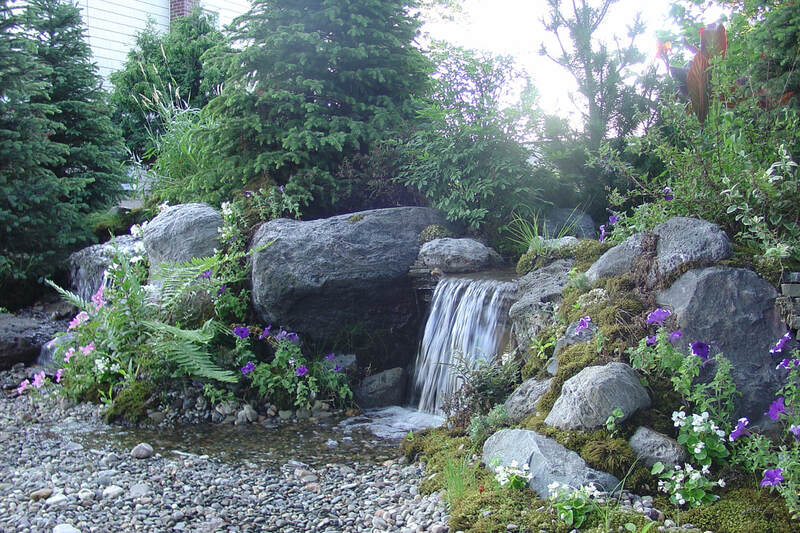 ​ A Disappearing Waterfall Kit ! Look at the image pictured, if falling in love with the idea of having something like this in your yard, or your place of business is now the goal. What do you do next? The majority of people have no idea where to start and look for a professional to install their own piece of paradise. We would actually suggest this for everyone, but there are some of you out there that want to tackle the installation themselves. For you luckily manufacturers have assembled turnkey kits with everything you need... minus the rocks, gravel, and plants. 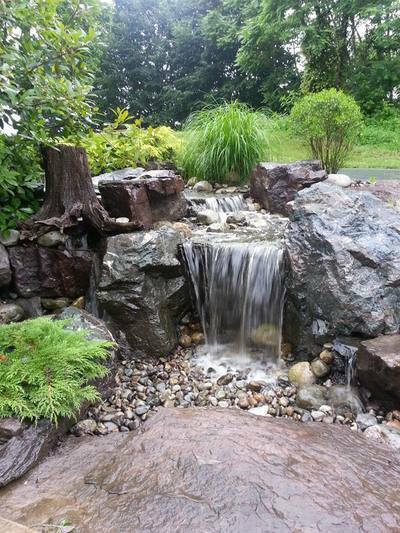 The main source of your disappearing waterfall sets the tone for your entire water feature. 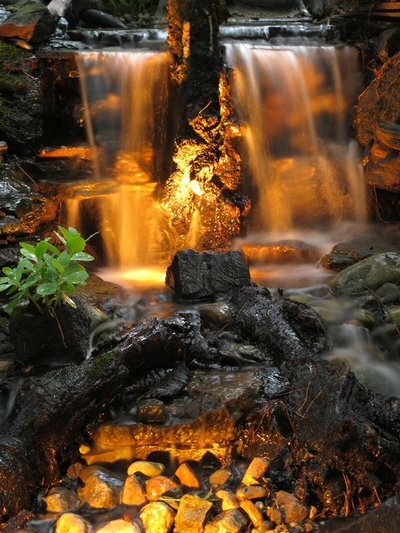 Most manufacturers have products specifically designed to allow water to upflow or diffuse currents to gently allow water to cascade at the start of the waterfall. These units come in many shapes and sizes to fit some small space requirements. 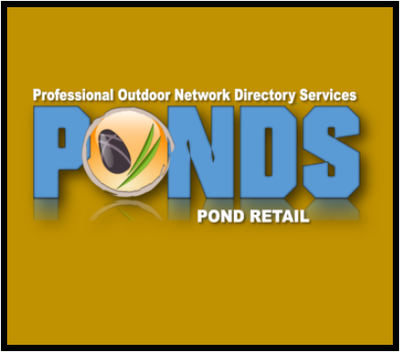 Ask your local pond store what options they carry to fit your design. A pump vault is just as it sounds, it's where the pump lives during operation of your waterfall. 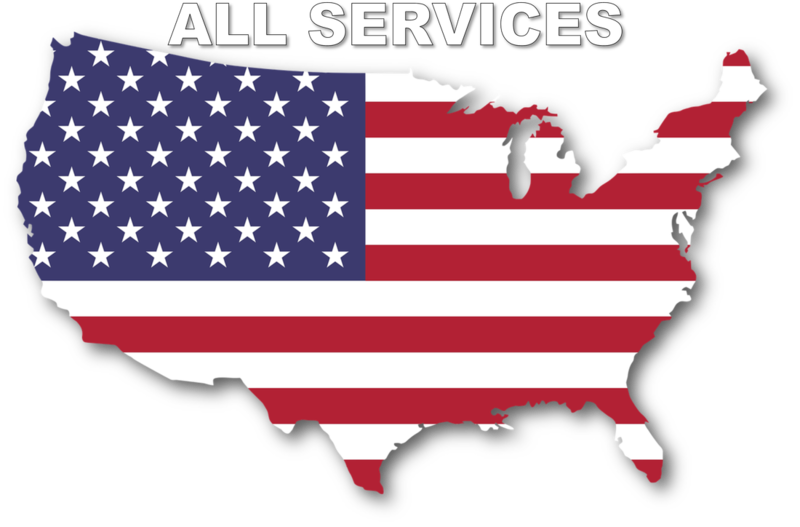 ​The proper way to install your pump is to also have access to it for service and maintenance. Most of these units are designed for total customization of pump sizes, and can be easily modified to circulate larger volumes of water for larger waterfall or stream systems. 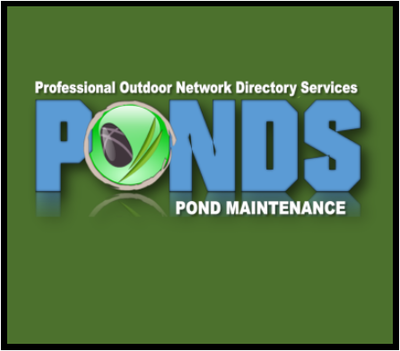 Ask your local pond store which works best for you. The one thing ​that all disappearing waterfall kits have in common is that they all have to incorporate some sort of pump to circulate water. As well as the proper tubing and plumbing parts to put it all together. Most kits come with the proper flexible tubing needed for the proper pump size. 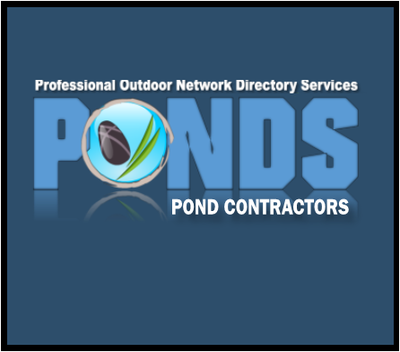 If you're unsure what size pumps or tubing to use, ask your local pond shop what would be the correct size for your design. When designing your custom basin​ the use of one of the many brands of water storage blocks would be the heart of the water storage system. These blocks generally come in two sizes, and store from 14 to 30 gallons or so of water each. They can be installed in a wide variety of configurations to fit most all space, size, and budget constraints. These systems are popular display features at local pond stores. Some of the disappearing waterfall kits available on the market today come standard with LED lighting fixtures. The size of the kit will depend on how many lights, connecting wires, wire connectors, and power transformers come standard with each kit size.​ If your kit doesn't come lights your local pond store will most likely sell a variety of lighting products to add to your kit or current water feature.